For those who don't want to watch the Galaxy S9 event from beginning to end and would rather prefer a minute-by-minute update, tune in to our live blog. We are hours away from Samsung's launch of their first flagship device of the year, the Galaxy S9 and the Galaxy S9 Plus. Samsung is scheduled to start its event in Barcelona at 10:30 pm (IST) on Sunday. Named the 'Samsung Galaxy Unpacked 2018' event, which generally happens a day prior to the Mobile World Congress, the presentation will be telecast live by the smartphone manufacturing giant from the venue. Samsung has not stated whether the event will be broadcast live on YouTube but has asked interested viewers to tune on to the Samsung Newsroom website once the event begins. This will most likely have a YouTube-hosted stream from 10.30 pm onwards. For those of you on Twitter, Samsung Mobile has sent out a tweet asking followers to 'heart' the following tweet to receive updates about the Unpacked livestream. For those of you who do not want to watch the event, but would rather prefer a minute-by-minute update of the event, we have you covered. Tune in to our Live blog of the Samsung Galaxy S9 launch where we will get you all the updates from Barcelona at 10:30 pm. One of the taglines for Samsung's event is 'The Camera. 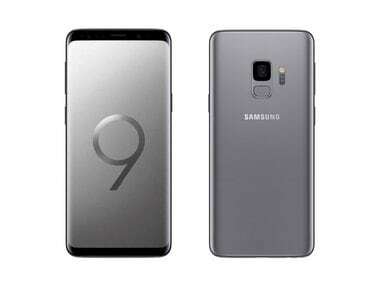 Reimagined' suggesting that the Galaxy S9 is expected to feature a vastly improved set of cameras, game to take on last year's Apple iPhone X and the Google pixel 2 XL. While speculations have been continuing for months altogether, here is all you need to know about what to expect from the new Samsung Galaxy S9 and S9 Plus, before the event begins. Tech2 will be present at the Mobile World Congress. Do follow all the latest updates from the show floor here.